Georgetown University and Harvard University will face each other in a football game at RFK Stadium this fall. WASHINGTON — Two elite colleges will face each other in D.C. this fall. 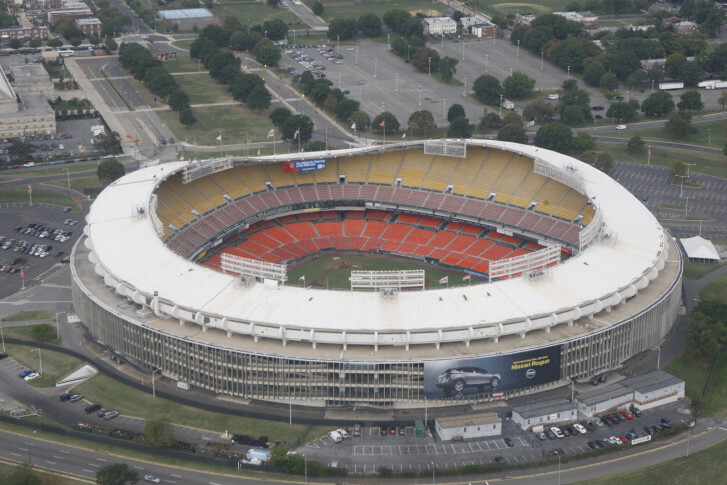 RFK Stadium will play host to a college-football game, as Georgetown University partners with Events DC to have a Georgetown football regular-season, nonconference game against Harvard University. The game will be on Sept. 30 at 2 p.m. and can be seen on the Patriot League Network. Georgetown Hoya Head Coach Rob Sgarlata said he is very excited for the team to face off against a “quality Ivy League opponent in Harvard University” at historic RFK Stadium. “We constantly talk about Defending the District and are committed to recruiting the local, student athletes from the talent-rich DMV area. This game will provide an incredible opportunity to showcase our program while competing against one of the top academic and athletic programs in the country,” Sgarlata said. This meeting will be the fourth ever meeting between the two teams, as Harvard has won the last three games in each of the past three years. Georgetown is 3-5 against all opponents from the Ivy League under Sgarlata, including a 2-2 record in games played in D.C.